Gone are the days when writing down homework and assignments, checking time-table, exam schedules from the notice board and marking remarks in the school diary was a daily activity. It is the modern age of learning smartly through web-based academic solutions. In the distant past, maintaining catalogues, registers, diaries, files, etc. manually of schools and colleges were a huge task for the staff members. Using an online student management software like ECAS (Enhanced Campus Automation System) takes the load off the staff members for smoother administration. Now all such tedious institutional and educational tasks can be carried out end-to-end through a computer using our educational management system. 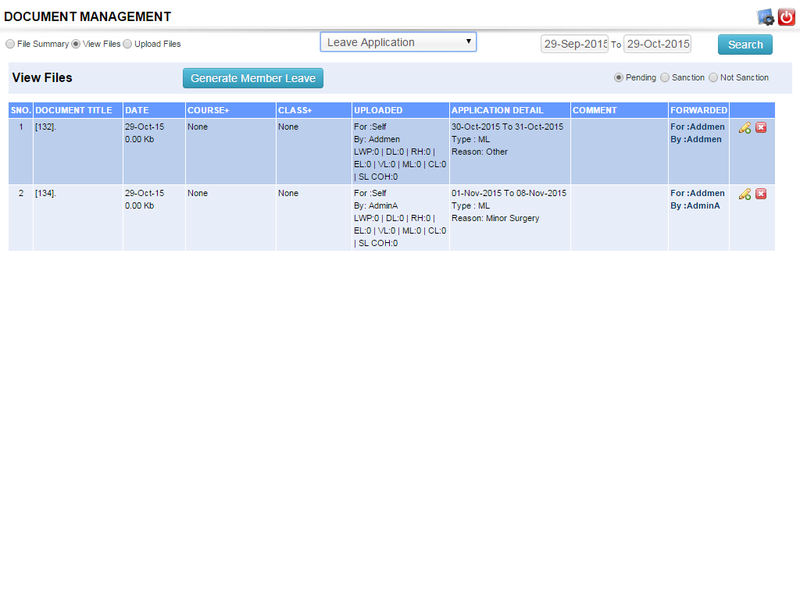 A separate panel is designed for eDocument because of its extensive use in an institute management system. 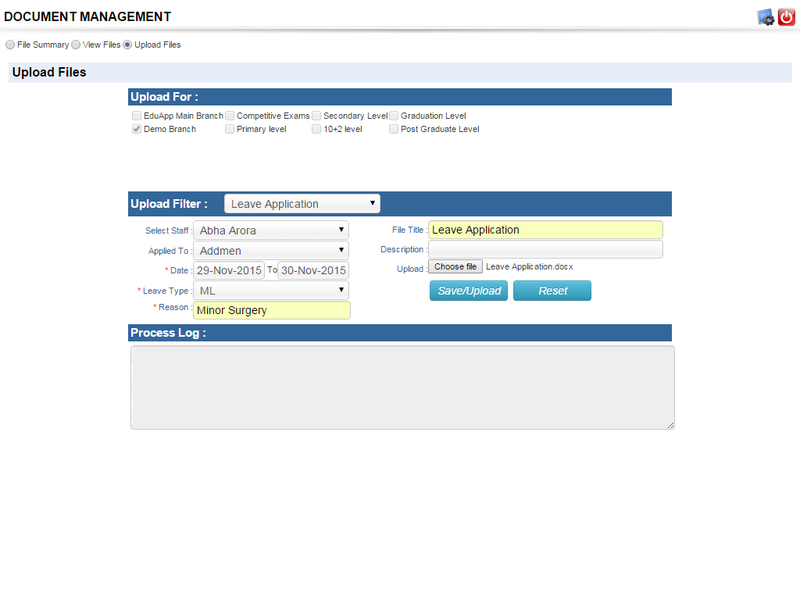 This panel displays file summary of all the uploaded documents like study materials, staff notice, student notice, assignments, leave application, etc. for the institute and by the institute. Same panel is used to view the files as well as for uploading the files. For uploading a file, the tab gives you upload filters to categorize the eDocuments. It provides an option to assign the uploaded files specific to a particular department or staff. eDocuments could be in any format supporting multiple file types like PDF, XLS, DOCX, etc. Assigning work through eDocuments for the staff as well students is done from the same panel. All the files uploaded by the institute can be viewed and downloaded by the students from the Students Dashboard. 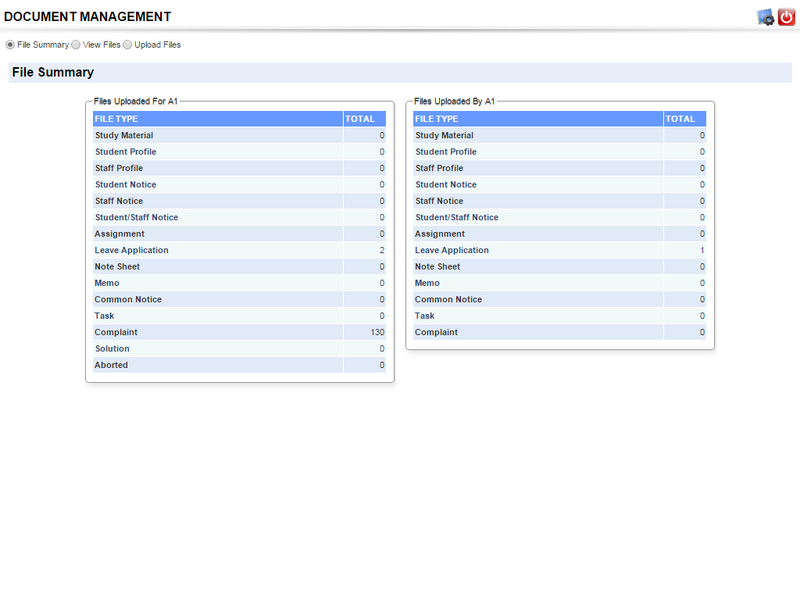 Latest eDocuments show up in the front panel of the Dashboard and can be downloaded directly with a single click which is only possible through a web-based school management software. Study materials, test schedules, time-table, practice sheet, test solutions, etc. 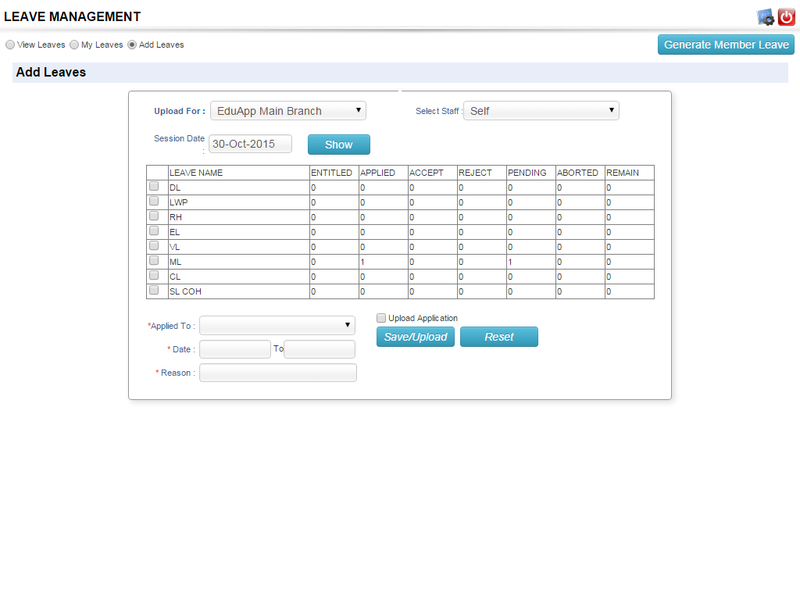 all can be downloaded by the students from this school management software interface. Uploading files from the database and assigning tests or assignments to students belonging to a particular course, department, batch, etc. becomes very easy for the management. Students and staff notice can be sent separately avoiding confusion like it occurs when displaying staff and students notification on the notice board in the campus. Special assignments can be uploaded for slow learners for improving student performance. Memos of important meetings can be sent through this online interface to other departments saving time in universities with big campuses. Along with usual notification, leave applications, complaints, solutions, note sheets, etc. 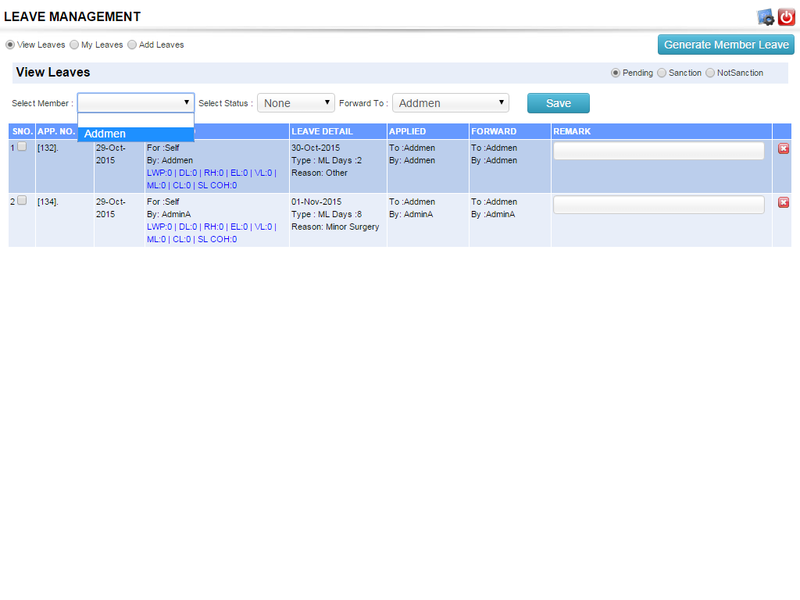 can also be viewed, uploaded, forwarded for sanction through this online school management software.